Sound quality is good. 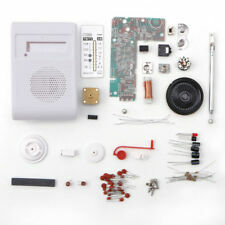 Type: radio DIY kit. FM signal input circuit rod antenna C8 / C10 and L1 IC1 11, 12 feet into the mixer circuit, local oscillation circuit uses a variable capacitor CA / L2, etc. vitality can be achieved manually tune. This CF210SP AM/FM Stereo Radio Kit is a DIY item, requires you to solder it yourself. 1 DIY CF210SP AM/FM Stereo Radio Kit. Easy to solder and use. Adopts TDA2822 amplifier circuit, good sound quality and high performance. This CF210SP AM/FM stereo radio kit is for DIY product that need you to solder by yourself. Model: CF210SP. Easy to solder and use, circuit is simple, good selectivity, high success rate of assembly. 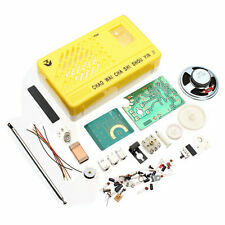 This CF210SP AM/FM stereo radio kit is for DIY product that need you to solder by yourself. Model: CF210SP. 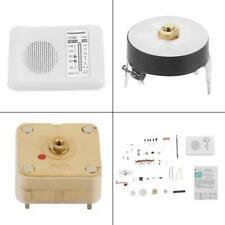 This radio DIY kit is a AM/FM two band radio which has novel and unique appearance. FM Receiving Range: 76-108MHz. 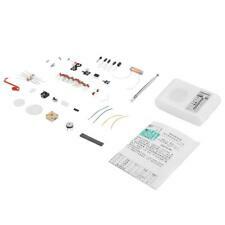 1 x AM FM Radio Electronics Kit. AM FM radios receiver kit, using CXA1691BM integration, with fewer external components, high sensitivity, low power consumption, etc. FM frequency range 87-108MHZ. AM frequency range 525-1605KHZ. 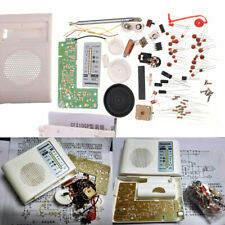 Portable FM AM Radio DIY Parts CF210SP Electronic Production Kit. JS210SP kit is the appearance of new and unique two-band AM FM Radio. 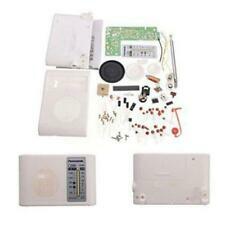 The kit component selection and design principles have been identified professional radio engineer. Trending at $3.66eBay determines this price through a machine learned model of the product's sale prices within the last 90 days. Portable FM AM Radio DIY Parts CF210SP Electronic Production Kit. The kit component selection and design principles have been identified professional radio engineer. Requires a certain amount of knowledge to manually install electronic components.